Applicants are required to hold a Master’s degree in physics, chemical physics, mathematics or computer science. Documentation of degrees must be available in English or German. The handling of foreign degrees is at the discretion of the individual universities potentially awarding the PhD degree later. Applications are possible at all times, though positions may not always be open for new students. Applicants are welcome to contact potential thesis supervisors directly. Applicants are asked to contact the coordination office at register@exqm.de to initiate the application process by providing an electronic cover letter, CV, transcripts, diplomas and other relevant documents as well as details of two academic referees providing letters of recommendation directly to the coordination office. The applicant should provide this cover letter and form to their referees. Once this contact has been established and a relevant working group selected, the process will usually include a personal interview in Munich and the provision of physical paper copies of all relevant documents (possibly sent by air mail). If successful, the student will be offered a salaried position in the selected working group, usually for approximately three years. Housing is not provided by any of the universities. The coordination office as well as the selected working group will usually provide assistance to find accommodation to the successful applicant. Rent in Munich varies between 500€ and 1000€ per month including heating and electricity for 1-2 room apartments. Tuition fees are about 110€ per term (six months), with an additional approx. 200€ optional payment for a public transport ticket. Enrolment may or may not be required, depending on the selected university (TUM, LMU); in turn depending on the selected working group. Salaries are usually about 1200-2000€ after taxes and by experience tend to be sufficient to live independently in Munich. Non-EEA students likely require a visa and residence permit to study in Germany. The coordination office will provide assistance where necessary. 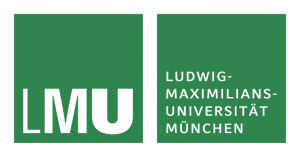 The International Center of TUM and the International Office of LMU will also provide assitance. In any case, make sure to acquire the visa before permanently arriving in Germany, as otherwise you may have to leave again. PhD students are generally expected to teach some classes on the undergraduate and graduate level as tutors supporting their working group. On the other hand, the university may require completion of some classes for graduation. Those classes as well as all seminars will be given in English.